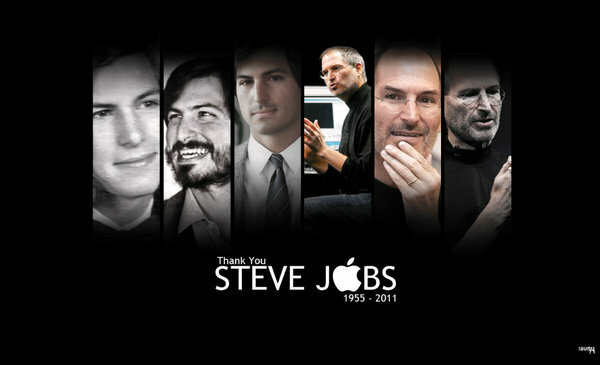 In thinking about the passing of Steve Jobs, it’s inspiring to be reminded there’s a little Steve in every one of us. All it takes is a personal decision to pursue a vision that matters to you with his level of unbridled passion and belief. And once that decision is made, never accept the status quo. There is a great lesson and legacy gifted to us all by the life of Steve Jobs. No doubt, in the years to come, his incredible accomplishments will become mythic legend. But Steve Jobs was not special. He did not possess anything that is unavailable to any other human being. Perhaps even he would acknowledge this. This mantra was the force that gathered all the necessary molecules that formed themselves into the greatest technology business the world has ever known. It’s more than an advertising slogan or a clever brand positioning idea. If you think like and follow the status quo, you’ll never discover the inner voice of your own true genius. More importantly, you must believe in your different thinking. Believing is seeing, not the other way around. The key to innovation and business growth is curiosity. You have to appreciate and practice the discipline of being curious, asking questions, and questioning the answers that come up. 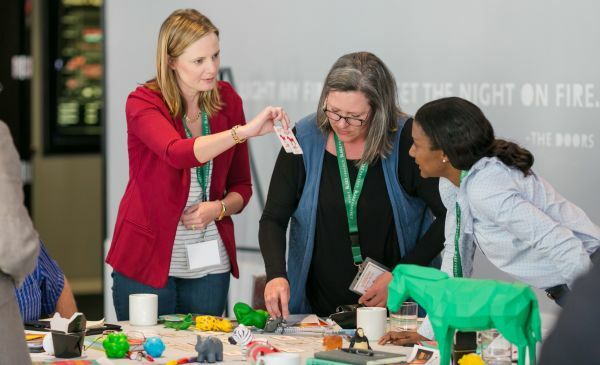 To be innovative requires you bring things into the world that no one is asking for, but once realized, become the very things the world was waiting for. No one was asking for an iPad, now millions can’t live without it. There is no such thing as failure. Failure is an idea you mentally buy into and then accept as a permanent circumstance. There are no permanent circumstances in the universe. There is only learning, growth and accomplishment. Everyone creates undesired results when they are creating anything. It is the nature of the creative process. Use your “failures” for your growth and expansion. Put your own “dent in the universe”. This now famous Jobs expression can apply to everyone. To do it, you have to care about something that is deeply important to you and makes a big difference to others. Thinking differently has the natural effect of making a difference. Doing what matters to you–really matters–is how you make a difference and dent the universe. It’s easy to say something is good enough and then get it out the door. Lots of big and small brands and businesses operate with this mentality. Take the money and run. But you’ll never be able to command premium prices when you settle for good enough. Today everything is good enough. Good enough=the same! At some point in time, you have to get it out there. This means you have to “release” it to the world and learn from the feedback of the marketplace guiding you to make your stuff better and better. Constant improvement, learning, tweaking and enhancing your products is how you grow. Nothing will be perfect–ever! Not even the iPhone. Seek beauty and express it with simplicity. People love simple. Simple is always beautiful. Nothing simple is easy. It takes discernment to strip away the unnecessary and get to simplicity. If you make a product, make it beautiful, simple to understand and use. If you deliver a service, do so with humility, elegance and grace. The key to premium pricing lies in this timeless principle: provide more “use value” than you receive in “cash value”. Think about this for a moment. When your customers value their experience with your brand, product, service more than they value the money they exchange, you will never become a commodity. Your products and services will be a badge of higher meaning and greater value. There must be a deep emotional connection between the product and the customer–far more important than its features or user benefits. Of course, not everyone will become a Steve Jobs. For those who consider these ideas, it’s not impossible to create on the level of a Steve Jobs. His legacy may be the way he demonstrated just how possible the impossible really is. And for that, we should be grateful to him. Thank you Steve Jobs for lighting the way. This is excellent. Everyone with a definite major purpose in life should read this for that “extra push” in realising their dream. brilliant.